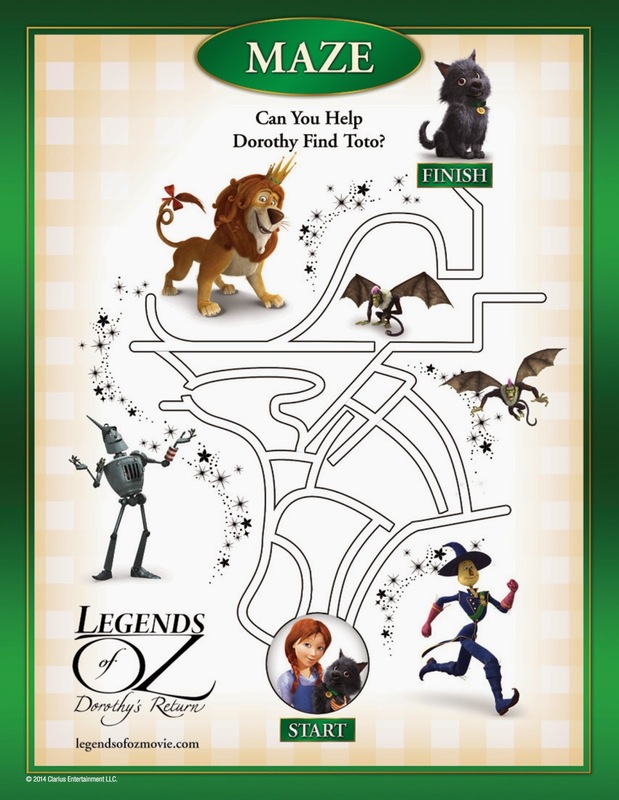 Legends of Oz: Dorothy's Return on Bluray and DVD is slated for release on 8/26/14. Meanwhile, while we all wait for launch day, you and your kids are invited to enter the Giveaway and celebrate Dorothy's return to the Emerald City and the upcoming Bluray DVD release RIGHT NOW with these fun, free printables. Be sure to read MBE's review too. To access these fun printables all you have to do is click on any or all of the images below and print out. That's it! 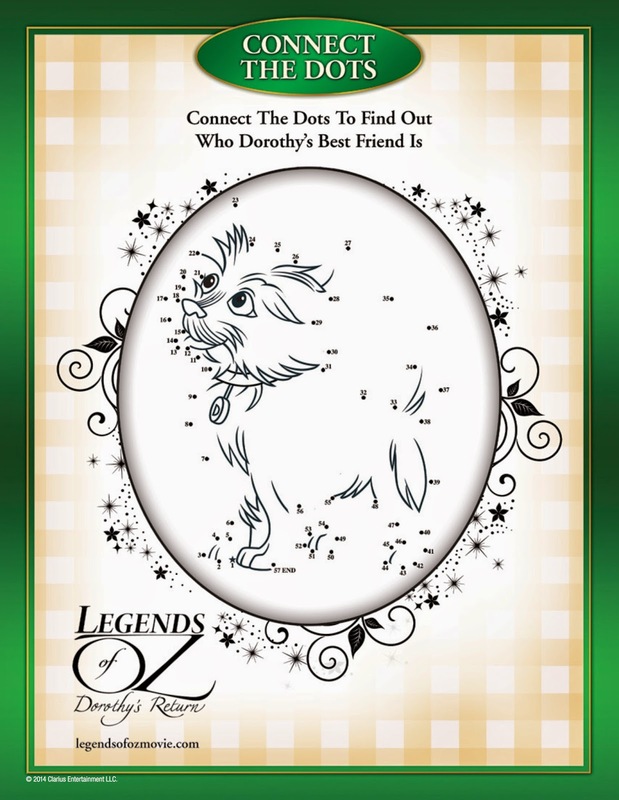 To learn more about Legends of Oz: Dorothy's Return, don't miss this movie review. You can also keep up to date on everything else Twentieth Century Fox Home Entertainment is doing by visiting Foxconnect.com and following the movie studio on Facebook and Twitter. FTC Disclosure: This is a #FHEInsiders sponsored post. I disclose that I am a Fox Home Entertainment Insider brand ambassador. 20th Century Fox has provided the printables in this post for MBE readers and I received the related Blu-ray DVD to facilitate the associated movie review and giveaway posts. 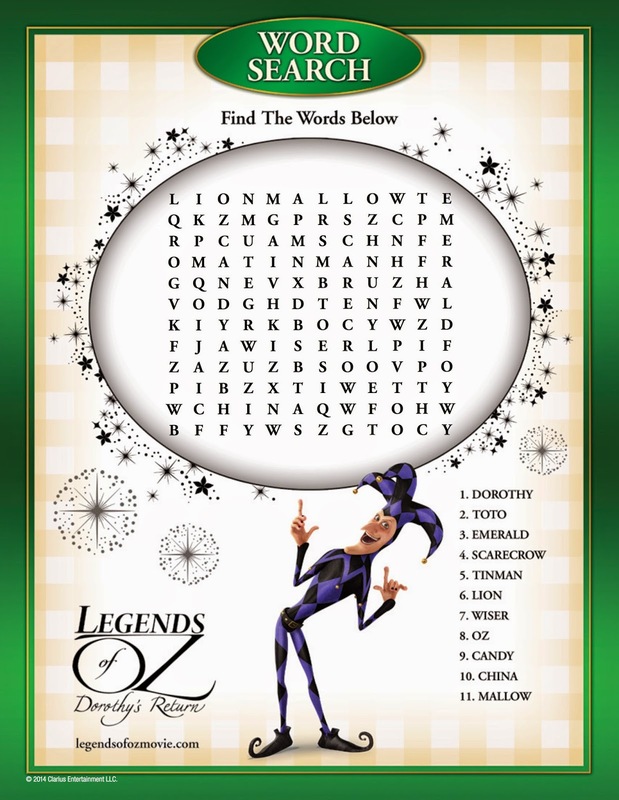 Fox is also supplying the prize and shipping for the associated Legends of Oz: Dorothy's Return Blu-ray DVD Giveaway MBE is hosting. However no payment was received and opinions here are my own. See complete FTC Disclosure information that appears at the bottom of MommyBlogExpert's main page and at the bottom of every individual post on this blog, including this one.